Depression Treatment in Manhattan New York City with Award Winning Psychiatrist Dr. Amanda Itzkoff, MD. You are not alone; Amanda Itkoff, MD can support you in finding a depression treatment that is right for you. 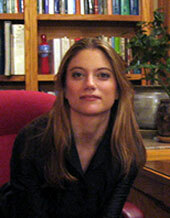 She is an award winning psychiatrist conveniently located in Manhattan, NYC. She offers treatments that work when nothing else will like rTMS, dTMS and Ketamine Treatment. Dr. Itzkoff will lend constructive, compassionate support and suggest new tools to help you achieve happiness and wellness. Each person has the power to lead a fulfilling, content life. Dr. Itzkoff looks forward to helping you bring the joy back into yours.